Get spinning with the Fidget Spinner! In metallic colors, these Fidget Spinners are small enough to fit in your pocket so they can go everywhere with you. Featuring 3x outer bearings around a center bearing, you can spin it in one hand! How long can you spin? Ages 6 and up. 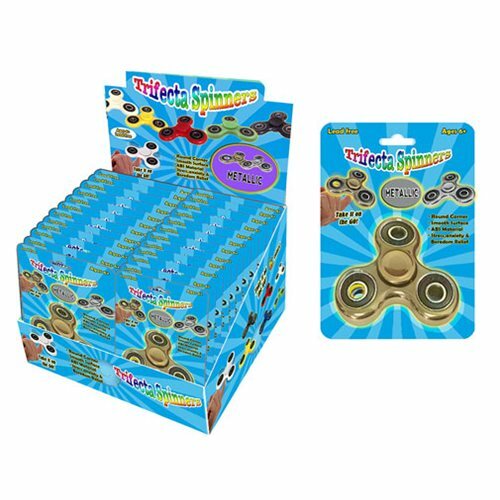 The Trifecta Spinners Metallic Random 3-Pack includes 3x individually packaged spinners in a variety of metallic colors.